Northern Province Chief Minister C. V. Wigneswaran has charged elements in the South of plotting his murder. “I have been receiving information continuously that there are efforts being taken to kill me and to put the blame on the LTTE,” he said, in a message read out at a recent book launch. 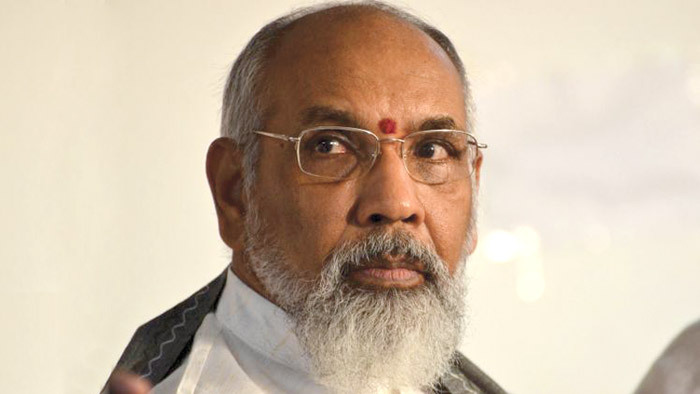 The Chief Minister’s accusations come a week after he led the ‘Eluga Tamil’ rally in Jaffna. The demonstration highlighted Tamil people’s concerns over militarisation and alleged Sinhala colonisation in the North. Several thousand Tamils flocked to the rally that some compared to the LTTE-linked ‘Pongu Tamil’ rallies in 2002-04. Days after, Bodu Bala Sena (BBS), protested in Vavuniya, asserting Sinhalese rights. In one photograph of the demonstration, shared on social media, a man held a poster with the message “Bin Ladan, Prabakaran now Vignashwaran. Last episode will be televised soon”. CEO of the BBS Dilantha Withanage, however, denied that the threat came from them. “We were only one of the organisations that participated in the Vavuniya rally, but unfortunately whenever our leader Gnanasara Thera goes somewhere, the media distorts the news,” he told The Hindu. Meanwhile, the two rallies – in Jaffna and Vavuniya – have sparked debate, as a section of Tamils and Sinhalese voice concern over the rekindling of extreme nationalism in the North and South – something they blame for the country’s ethnic strife.